Snap(shot) Judgements are posts that will appear with no real regularity. It’s primarily a way for us to get thoughts and photos up as soon as possible, especially when we have no plan to write a feature-length column on the subject. Here, Gary has some old-school Taiwanese food from NYC Cravings. 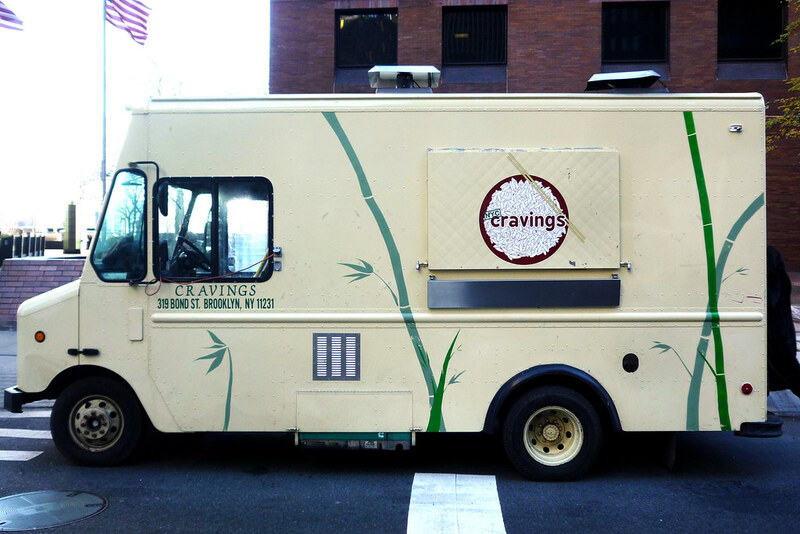 Earlier this week, I saw that the NYC Cravings truck would be going into hibernation for the winter after this week. That was a bit weird because the only trucks that usually take the winter off are of the frozen treat variety – ice cream or slushies – but almost never food. Then I saw in Midtown Lunch that they were changing their name to Bian Dang: Taiwanese Lunch Box and, more importantly, moving into the new Food Gallery 32 in Koreatown in the coming weeks. Now it all makes sense. Regardless, I had never been to the truck before and I wanted to get that in under the wire so that’s what I ended up doing yesterday on a very frigid early afternoon. If you want some Taiwanese pork chop before they close up the truck, you’ve got two more days! Or, you know, you could just wait until they open up in Ktown.